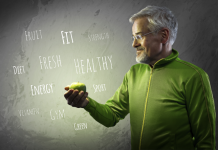 When it comes to goals, it helps to know how some of the best achievers in the world set goals. One such high-achiever is John Maxwell. 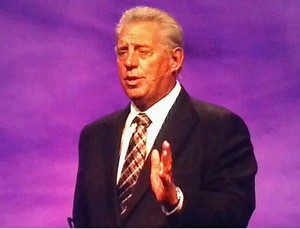 John Maxwell is an internationally recognized leadership expert, speaker, and author. And, one of his specialties is turning dreams into reality through a simple process of setting goals. In the book, Your Road Map for Success: You Can Get There from Here, John Maxwell shares his approach for setting and achieving goals. Your dream determines your goals. Your goals map out your actions. And the results bring you success. The first step is to dream. Dream big. Add clarity. Use your dream to articulate your desired future state or desired outcome as a vivid picture. Know where you start from. This helps you figure out the gap between your current state and your desired future state. By knowing the gap, you can better address the gap. “It’s true you can’t begin the success journey until you know where you want to go. But you also can’t be successful if you don’t know where you’re starting from. Both pieces of information are necessary to make the trip. As Eric Hoffer, known as the ‘longshoreman philosopher,’ said, ‘To become different from what we are, we must have some awareness of what we are.’ Start by examining yourself as honestly as you can. Look at your strengths, weaknesses, experiences, education, and resources. How great a distance will I have to travel? What do I have working for me? What will it cost to make the trip? Write a statement of purpose that reflects your dreams, values, and convictions in a way that inspires you and helps you stay your course. “Once you’ve given more thought to your dream, and it has started to become clearer in your mind, you’re ready to take another step: writing a statement of purpose for yourself based on your dream and what you intend to be doing while you’re going in that direction. I guess you could call it your philosophy of travel for the success journey. Write your goals, based on your dream, in a way that’s personal, specific, achievable, measurable, and time-sensitive. Adjust your plans based on your results and feedback. Change what’s not working. Do more of what’s working. Keep acting on your goals. The big win for you is what you become by chasing your dreams and pursuing your goals. John Maxwell is skilled at achieving goals and helping others do the same. If you’re tried goal-setting before, but it didn’t really work for you, give Maxwell’s approach a shot. You just might surprise yourself with a big dream, a great purpose statement, actionable goals, or what you become as you reach for your goals. Next articleAre You Living Your Dreams?